Here is another bridal shower invitation that is newly added to the store. It is also one of my favorites. 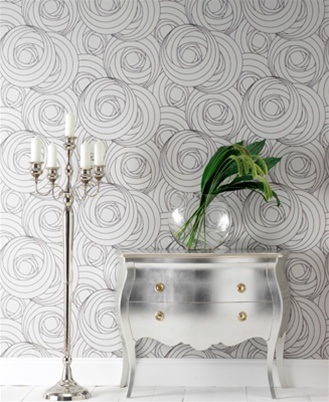 While this wallpaper would look great in a room, couldn’t you see it on a note card or as the backing to a fun invitation. It’s been a minute since I’ve shared a favorite font. This one is called Candy Script. This would be perfect for itemizing candies for a candy bar at a wedding. If you decided to give out chocolate bars as a party favor and decide to design your own wrapping, use this font. It would also be a great font for an invitation too. There are so many ways to use this font in a design. Just let your imagination run wild.